Understanding property licensing is never an easy task - we know that and we've been using the legislation since it came into force in 2006! To make your life a bit easier, we have produced this free guide to help you understand selective licensing schemes. Isn’t property licensing restricted to Houses in Multiple Occupation (HMOs) - surely a house or a flat rented to a single family doesn’t need to be licensed, or does it? Well, it depends on where your property is located. Under mandatory HMO and additional licensing, the licensing schemes are limited to certain HMOs. But with selective licensing the rules are different. With a third of London Boroughs already operating selective licensing schemes (as of November 2017) and more schemes on the horizon, this is something all landlords and letting agents need to be aware of. Part III of the Housing Act 2004 gives councils the power to implement a selective licensing scheme covering almost all private rented properties within a defined geographical area. We will try and explain some of the key issues. Which properties does a selective licensing scheme cover? It depends on exactly how the council has drafted the scheme designation. Some schemes cover the whole borough whereas others cover smaller geographical areas. Most private rented properties that fall within the scheme boundary will need to be licensed by the council – not just HMOs. Failure to comply is a criminal offence that can result in prosecution and a hefty fine or a civil penalty of up to £30,000, so it is important to get things right. Which councils have introduced selective licensing? There is no central directory of property licensing schemes so you will need to contact your local council or search on their website. Unfortunately, some council websites are much more difficult to navigate than others, so you may need to contact your local council if you are unsure. Of course if your property is in London, we’ve done all the hard work for you! As of November 2017, selective licensing schemes have been introduced in eleven London boroughs - Barking & Dagenham, Brent, Croydon, Ealing, Hammersmith & Fulham, Harrow, Newham, Redbridge, Southwark, Tower Hamlets & Waltham Forest. To find out about the licensing schemes in your area, click on the ‘Select Borough’ link above and then choose the borough you are interested in. Can any council introduce a selective licensing scheme? A selective licensing scheme can only be introduced if the council is satisfied that are problems with low housing demand or significant and persistent problems of Anti Social Behaviour (ASB) linked to the private rented homes in that area. Given the exceptional levels of housing demand in London, schemes are normally introduced to tackle ASB. When assessing ASB, government guidance says that councils should consider crime, nuisance neighbours and environmental crime and then assess whether landlords are failing to take appropriate action to help resolve the problem. The law states that any decision to implement a selective or additional licensing scheme must be consistent with the council’s housing strategy and must be part of a coordinated approach for dealing with homelessness, empty homes and anti-social behaviour. The council must be satisfied that there are no other courses of action that might provide an effective remedy and that the introduction of a licensing scheme will significantly assist in dealing with the problem. As you can see, there is a lot of evidence a council will need to collect before it can introduce such a scheme. Under regulations introduced in March 2015 (the Selective Licensing of Houses (Additional Conditions)(England) Order 2015), councils were given wider powers to implement selective licensing in areas with a high proportion of private rented properties, provided they can satisfy one of four criteria around poor housing conditions, migration, deprivation or crime. Before introducing a selective licensing scheme, the council must take reasonable steps to consult with everyone affected by the designation for a minimum of 10 weeks. 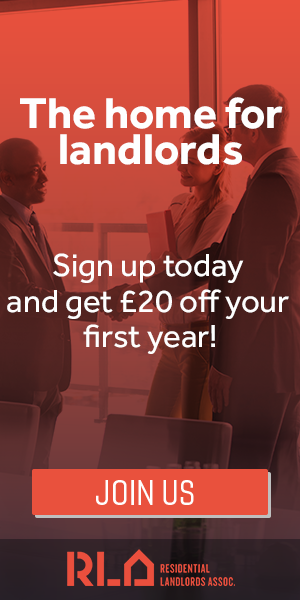 Under new rules that came into force on 1 April 2015, any selective licensing scheme that covers more than 20% of the area or 20% of private rented homes can only be introduced with central government approval. The property is occupied under an exempt tenancy or licence, as defined in the Selective Licensing of Houses (Specified Exemptions) (England) Order 2006. Buildings where an occupant shares any accommodation with the landlord or a member of the landlord’s family. We hope you have found our guide to selective licensing useful. It is important to remember this is not legal advice and you may want to refer to our disclaimer below. 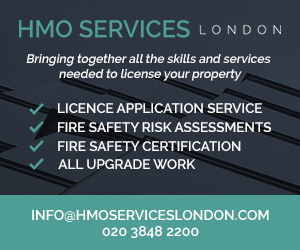 If you need help getting your property licensed, we offer a comprehensive licence application handling service throughout the London area (read here).